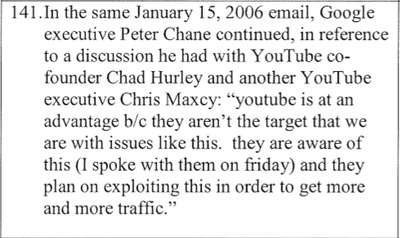 During 2005 to 2008, YouTube execs said a lot of dumb and nasty things to each other in emails and instant messages.Thanks to Viacom’s lawsuit against YouTube-parent company Google — and the court’s decision to release a “statement of undisputed facts” — you get to read it all! 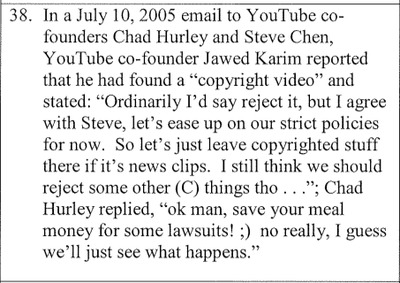 So, why are these emails relevant to a court case? 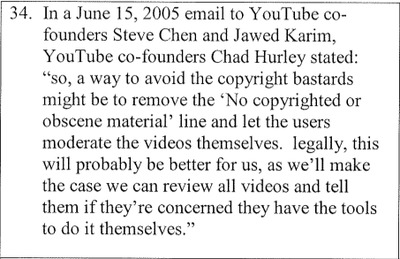 Viacom wants to prove that YouTube’s sole purpose back then was to capitalise on illegal content. 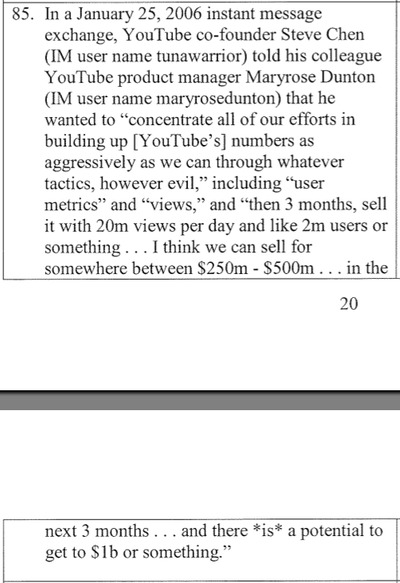 The emails and IMs do seem to show that YouTube wanted illegal content on the site to make it more “viral” and prevent it from being an also-ran in the Web video race. 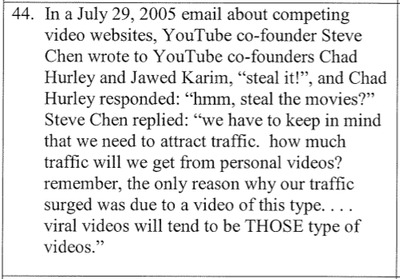 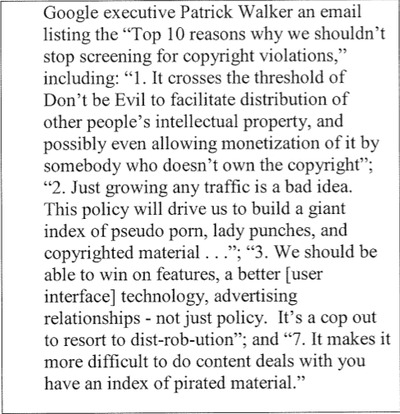 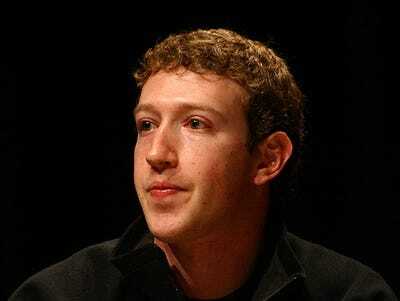 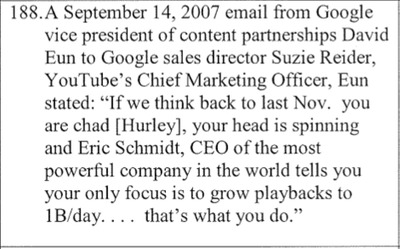 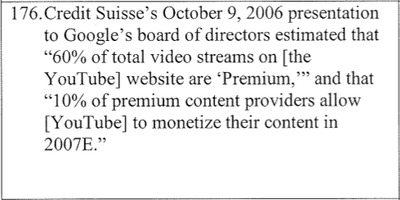 The emails and IMs also seem to show that Google knew about this plan when it bought YouTube for $1.65 billion in 2006. 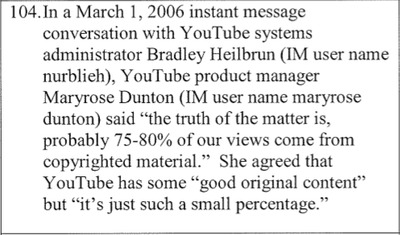 The problem for Viacom is that YouTube also housed plenty of user-generated content, so it wasn’t strictly about the illegal content. 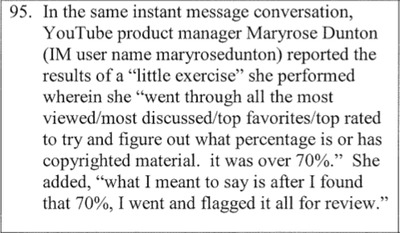 But, while the emails and IMs contain “no smoking gun” — as Peter Kafka at Media Memo has noted — there is plenty of embarrassing information for the rest of us. 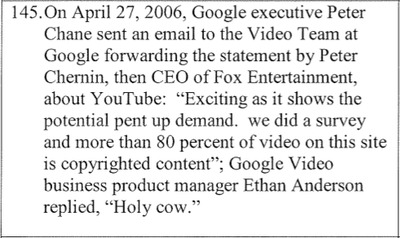 Here's an embarrassing start. 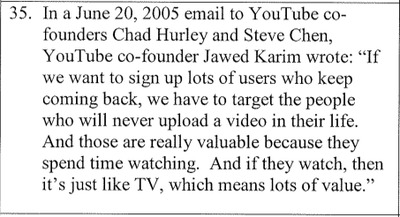 Jawed uses dopey slang. 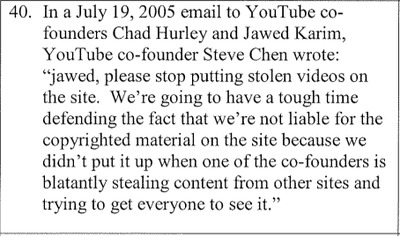 Viacom tries to show they clearly knew they needed illegal content. 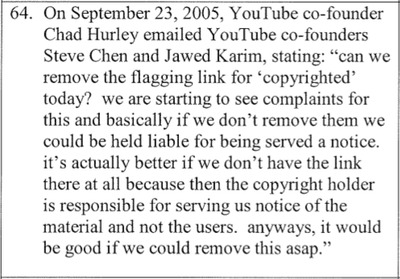 This shows YouTube wrestling with what the site is -- User generated, or a place for pirated content? 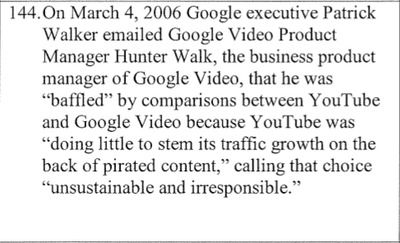 Curse words are always funny. 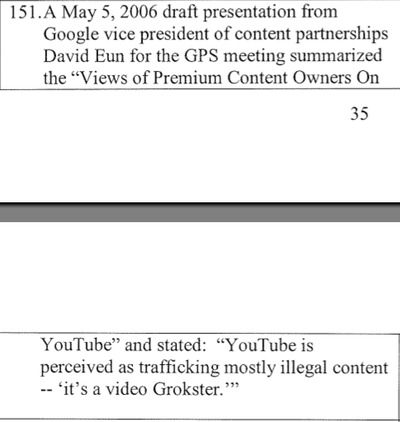 Viacom wants to convince the judge that YouTube is Grokster...this sure helps.